/Blogs, News, Resources / Blogs / Blogs, News, Resources /Measuring Carbon Savings is the Answer! What was the Question? If your state reported that their waste diversion practices resulted in prevention of 1,802,794 metric tons of carbon dioxide equivalents, would you be impressed? That’s a big number. What if you learned those savings equated to removing 379,535 cars from the road for a year? That’s certainly a lot of cars. Now what if you learned that this state’s tonnage-based diversion rate is 19.2% – one of the lowest among all states with measurements? Still impressed? This is the crossroads where we’ve arrived. The definition of successful solid waste management is evolving, and the question before us is whether or not conventional weight-based metrics are sufficient. The thinking goes that our preoccupation with weight-based measures may have caused us to lose sight of the reason we care about successful solid waste management – that reason being its potential to reduce environmental impacts. After all, the environment doesn’t suffer from tons of waste in landfills, it suffers from the impacts of tons of waste in landfills. Those impacts are twofold: first, biodegradable waste contributes to landfill greenhouse gas emissions (most recently estimated by the EPA to be twice the magnitude of emissions from coal mining!) and second, when waste is recycled and used in place of conventional virgin feedstocks, a number of environmental impacts associated with manufacturing can be reduced – including greenhouse gas emissions. The conclusion, then, is that the amount of greenhouse gas emissions reduced is a more thoughtful, meaningful metric of success, while our conventional tonnage-based metrics are arguably empty, unimportant measures, used only because they’re easier to measure and we’ve lacked the bandwidth to translate tons diverted into true environmental impact reduction. It’s hard to argue against the idea that we should care less about the tons of waste reduced and/or diverted from landfills and care more about the environmental benefits of those actions, but there’s a very important aspect of our conventional tonnage-based success measures that we risk losing in this great switch: the context. But before examining what it means to put context around carbon-based success measures, we should acknowledge that just because tonnage-based success measures tend to be reported in percentages – reduction percentages or diversion percentages that give more context than absolute numbers of tons reduced or diverted – it doesn’t mean that they’re given the right context. The denominator tends to be the entirety of all the solid waste generated, and the problem with that denominator is that we can’t recover all solid waste, nor are we capable of reducing all solid waste. Basically, we can’t get to true “zero waste” right now (as everyone in the Zero Waste movement has discovered). Estimates vary, but the general consensus is that somewhere around 20% of our solid waste simply does not currently have pathways away from the landfill. We shouldn’t beat ourselves up for not diverting waste that simply cannot be diverted, and measuring against it distracts from the successes we are achieving. Better metrics would take into account only the waste that we are capable of addressing. The Recycling Partnership has done excellent work to create and socialize the concept of capture rates as a new tonnage-based metric that measures the weight of material recycled against the weight of material that could have been recycled. This is type of context vastly improves tonnage-based measures. Put simply, let’s understand what we’re theoretically capable of doing, and then learn how we’re performing against our capabilities. That type of context lends extraordinary meaning to our measurements. The good news is that it’s not terribly challenging to put context around carbon-based success metrics. We have a generally well-developed understanding of our waste stream characterization, and resources like the EPA’s WARM tool can be used to translate tons of each type of recoverable material into the greenhouse gas emissions reductions realized by recovery and reduction pathways. In theory, it is straightforward to put carbon-based measures in terms of the percentage of possible greenhouse gas emissions reduced. Again, the denominator is important – we shouldn’t include things like diapers until we have a viable pathway for them – but putting this context around carbon-based success measures is the only way of using them to tell us how well we’re doing and what the remaining opportunity is. It is fairly meaningless to report that some number of metric tons of carbon dioxide equivalents has been prevented – equally meaningless, I’ll argue, as reporting that some number of metric tons of waste has been diverted. Reporting in percentages, though, is powerful. If we transition to carbon-based success measures, we need percentages. Of course, the reason we measure is to assess where we are and how we’re improving, and in order to improve a context-based, carbon-based measure of success, one must divert and/or reduce more tons of waste, which kind of gets us back to where we started. The only way to reduce the environmental impacts associated with solid waste management is to divert and/or reduce more tons of waste. But, carbon-based measures are helpful because they can assist us in prioritizing which tons of waste to focus on, and they should be used to do that. A word of caution though: it’s not necessarily going to inspire. Many of the types of waste that give the biggest “bang for your buck” in terms of greenhouse gas emissions reductions are not exactly easy to improve. Plastic and metal containers offer a lot of potential. Their recycling rates have been stagnant for years. It’s one thing to transition to an arguably smarter way of measuring. It’s another thing to improve that measurement. If the waste management community transitions to a new way of measuring, they still have their work cut out for them to improve those measurements. Improving is important. The right contextual measurement frames the improvement. Ultimately, it’s a great conversation being held, and wonderful that some of the principles of sustainable materials management (SMM) are becoming mainstream. SMM is a smart philosophy (though not the only philosophy deserving our attention, I’ll argue), but it’s complicated and never before has there been such receptiveness to its implementation. Now that the phrase is being heard more and more, it is important to note that it’s still complicated, and just because we can translate tons of waste into carbon footprints and equivalent number of cars removed from the roads does not mean we have fully implemented SMM thinking. There are two hugely important dimensions to SMM that are not present in this proposed shift in waste management measurements. 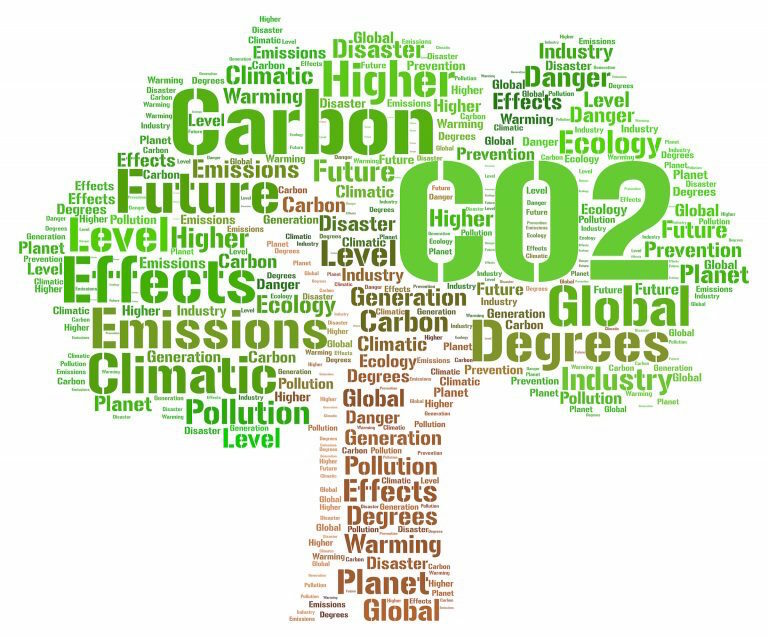 Firstly, SMM advocates taking into account a wide array of environmental considerations, and we should acknowledge that carbon footprints represent a single impact category. Water impacts, land use, toxicity, and other types of emissions are more challenging to understand and improve, but we can’t declare victory unless we analyze the effects of our actions on a holistic set of environmental indicators. Secondly, SMM espouses full life cycle thinking. Focusing on waste is one segment of the life cycle, and an isolated focus on any one segment is counter to this main tenet. It’s an important start, but there is much more to be done. So next time you hear about new measurements of the metric tons of carbon dioxide equivalents reduced, or the equivalent number of cars taken off the road, or the equivalent number of light bulbs, or trees, or household electricity usage, propane cylinders, barrels of oil or any other creative translation that is supposed to be more accessible, ask the question: is this really helpful? Does this help us understand where we are and where we can go? Maybe weight-based measures aren’t meaningful enough, but any metric lacking context risks being meaningless. Measurement matters. Context matters. Percentages matter.